Relax, we’re one of the most trusted and respected companies in the home improvement sector with control over manufacturing right through to installation. With a nationwide network of experienced Registered Installers and our unique product range, we believe that no other company can match these credentials. We’re also part of Prefix Systems, the UK’s largest and most established manufacturer of conservatory roofs for the trade. Through our network of customers we’ve been involved in over 50,000 conservatory installations in our last 18 years, including some very prestigious commercial projects and also work as a result of insurance claims. With over 15 years experience in the conservatory sector, we’ve had the opportunity first hand to work with a wide range of companies from all over the world and choose what we believe to be best of breed products. 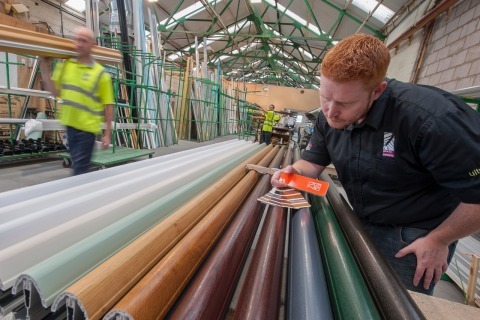 Whether it’s conservatory roof systems, window, doors, high performance glass or related products, we’ve got the best product range in the industry including a number of exclusive engineered products specific to the extended living market. Pilkington Glass and Saint Gobain Glass are both world leaders in their field as are Velux roof lights that are used in our exclusive GardenRoom, while Ultraframe are world leaders in conservatory and related systems. With our partners, expertise and nationwide network of Registered Installers, no one else is capable of manufacturing and installation conservatories, GardenRooms, extensions and extended living solutions to our most exacting of standards and specification.